The necrosome involves a protein complex of the RIP kinases RIPK1 and RIPK3. Necrosome formation is triggered by a wide range of signals from TNF to anti-cancer drugs to pathogens. Phosphorylation of MLKL by the necrosome induces MLKL oligomerization. MLKL oligomers associate with the plasma membrane, affecting membrane permeability and causing a programmed necrotic cell death. Several different small molecule inhibitors of necroptosis have been identified. 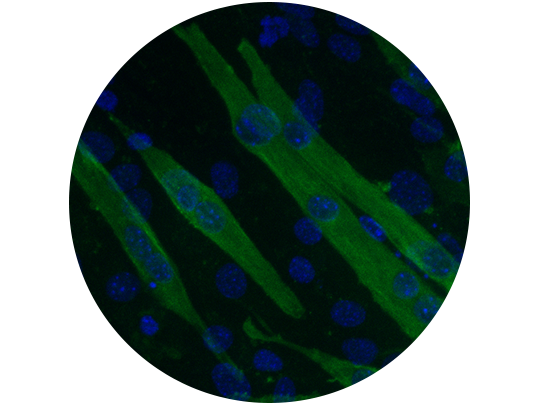 Inhibition of necroptosis can protect from ischaemia-reperfusion injury, a protective effect that is enhanced when necroptosis and apoptosis is blocked. Blocking necroptosis is also reported to have beneficial effects in models of neurodegenerative diseases and cisplatin-induced nephrotoxicity. Thus, targeting necroptosis may offer novel therapeutic opportunities. “Blocking necroptosis is reported to have beneficial effects in models of neurodegenerative diseases.